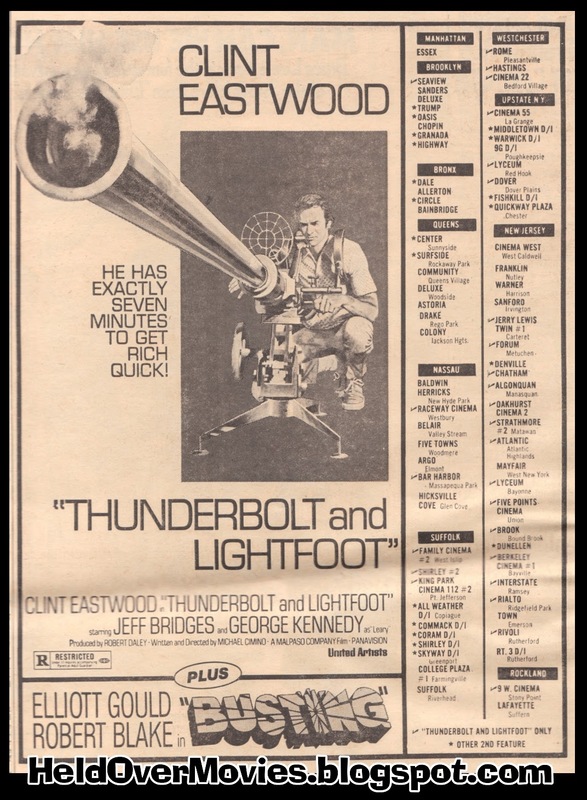 From my copy of the New York Daily News, dated Aug. 9, 1974, comes this ad for "Thunderbolt and Lightfoot." This was a great Advertising of a Film. This was the way of advertising classic films when there was no internet. I love the fact that someone cherish this old News Paper. 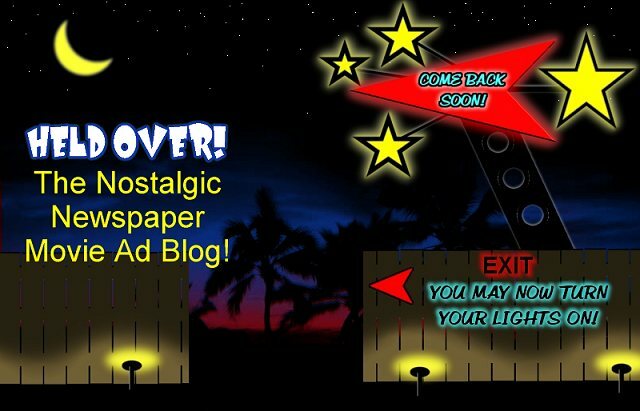 Welcome to my vintage newspaper movie ad blog! When I was younger I clipped out the ads of the movies I wanted to go see and put them in a scrapbook. I also enjoyed hunting through old newspapers I would find here and there, and saving the ads from those as well. Some that I've gleaned from relative's old closets and attics go back to the 50's! Rather than let them sit there in the old notebook I saved them in, I decided I'd share them with you. Every single entry on this blog page are from actual newspaper clippings that I own and have scanned in, so click on any image to view biggie size. Although this blog will mostly feature nostalgic vintage newspaper movie ads, I'll also throw in an occasional newspaper article about the movie that I found, as well as ads and items from various TV guides about movies and shows that I liked. And who knows what else? 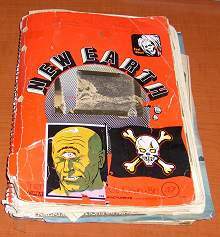 That dog-eared 37-year-old notebook is packed with goodies. Hopefully "Held Over!" will be fun to visit and will reawaken some of your own memories! Click to see it larger! Born in the late 50's, a kid in the 60's, a teen in the 70's, I'm "forever-fourteen." 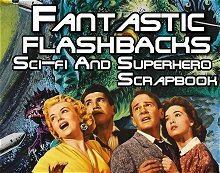 Monsters, spooky stuff, sci-fi and Star Trek captured my imagination as a youth and the memories made will never fade. The profile photo symbolizes the efforts of my stepdad to rid me of my "childish" interests, as he called them; at which, not being a man of strong imagination, he failed. Click on any of the images below to view full size! 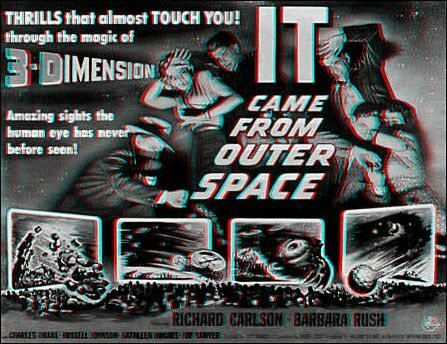 Use your red and blue glasses now to see in amazing 3D! Newsapaper ad from my hometown of Macon, GA.
Click to view hi-rez version!